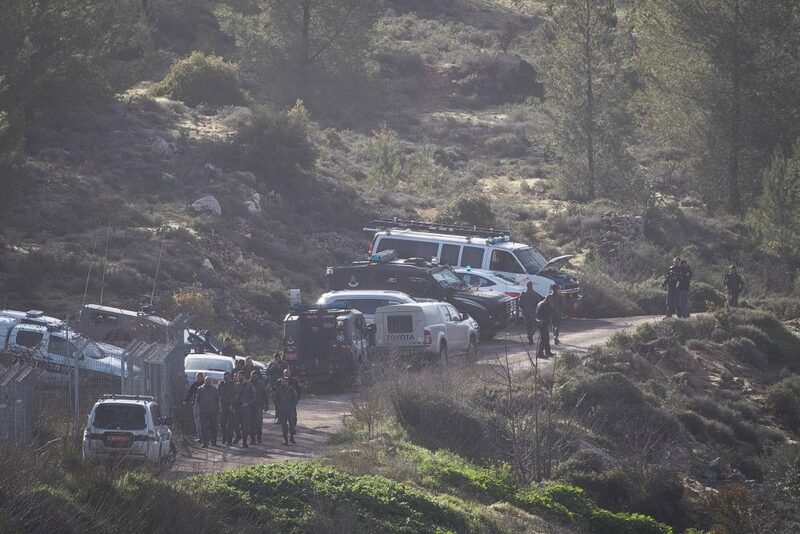 The IDF was preparing to demolish the home of Arafat Arfiya, the terrorist murderer of Ori Ansbacher, Hy”d, the student who was found murdered in the Ein Ya’el forest in Yerushalayim on Thursday. The house is located in Chevron, and overnight IDF soldiers entered the city and delineated the areas where the demolition would take place. Arfiya, 29, was in Yerushalayim without a permit. Security officials said he left his home with a knife Thursday morning and made his way to Yerushalayim. He came across Ansbacher in the forest and murdered her. Ansbacher’s remains were found Thursday afternoon, and an intensive examination of the murder scene yielded forensic evidence that led to the identification of Arfiya. He was caught Friday night in a lightning-fast operation in an abandoned building in the town of El Bireh, which he had apparently prepared for his escape. Under heavy attack by rioters throwing rocks and firebombs, IDF soldiers and Shin Bet agents arrested Arfiya. On Motzoei Shabbos, he confessed to the murder, officials said. Ansbacher, 19, was a resident of the town of Tekoa in the Gush Etzion region. On Motzoei Shabbos, angry protests were held in both Yerushalayim and Tel Aviv, demanding that Arfiya be executed and his family be deported to Gaza. Protests were also held at the entrance to the Abu Snina neighborhood in Chevron, the neighborhood where Arfiya lived. IDF sources said that they had increased the presence of soldiers in the area, in order to prevent acts of revenge by either side.